“Dear Kyla, Words can’t express how thankful I am for everything you have done for Paolo and I. Everyone commented on how amazing the florals were. You are an absolute legend and so incredibly talented, All our love, Amelia + Paolo xo”. Amelia married Paolo on a gorgeous day in spring at one of my favourite Adelaide wedding venues, Glen Ewin Estate. The picturesque garden setting near the lake is the perfect place to exchange vows and the pulp shed is a beautiful space for brides wanting that rustic barn style. 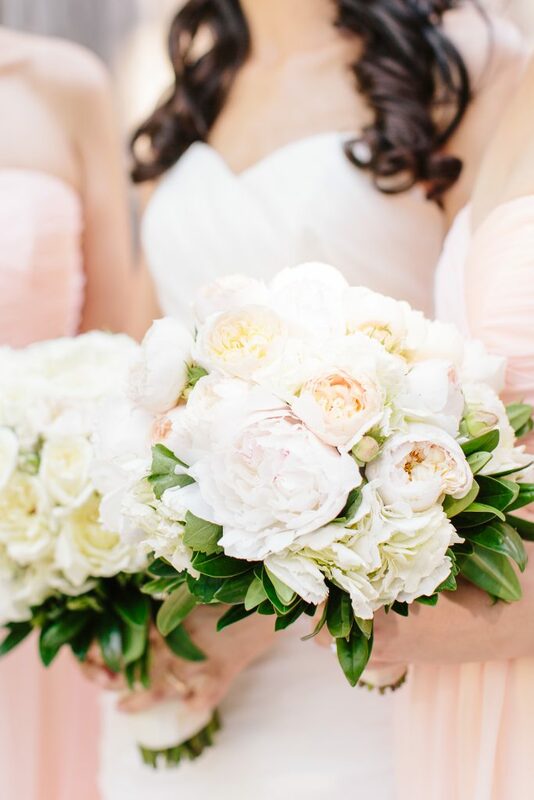 Amelia, a florist herself, had a clear idea of the flowers she wanted, even planning her wedding in November so she could have Peonies! 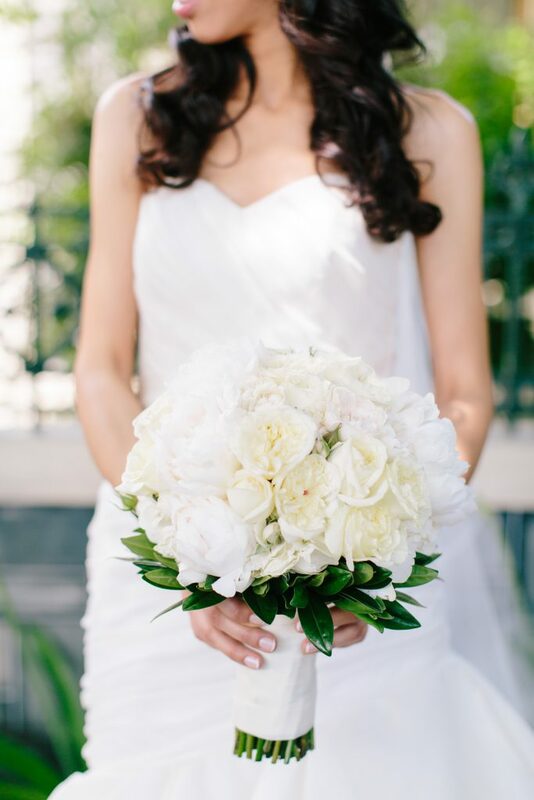 Amelia carried a classic round posy bouquet of ivory David Austin roses, white peonies and hydrangea framed with hebe foliage. Finished elegantly with white satin ribbon, a classic, timeless style. CLASSIC Bridal Bouquet “Amelia” consisting of David Austin roses, Amy Lu roses, peonies, hydrangea and hebe leaf. Image by Nicole Cordeiro Photography. 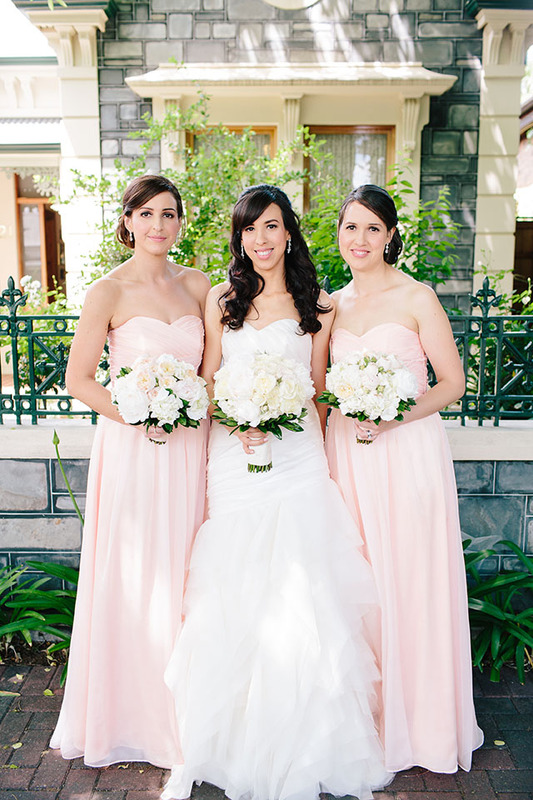 The bridesmaids, Amelia’s sisters, wore lovely pale apricot/pink toned dresses. 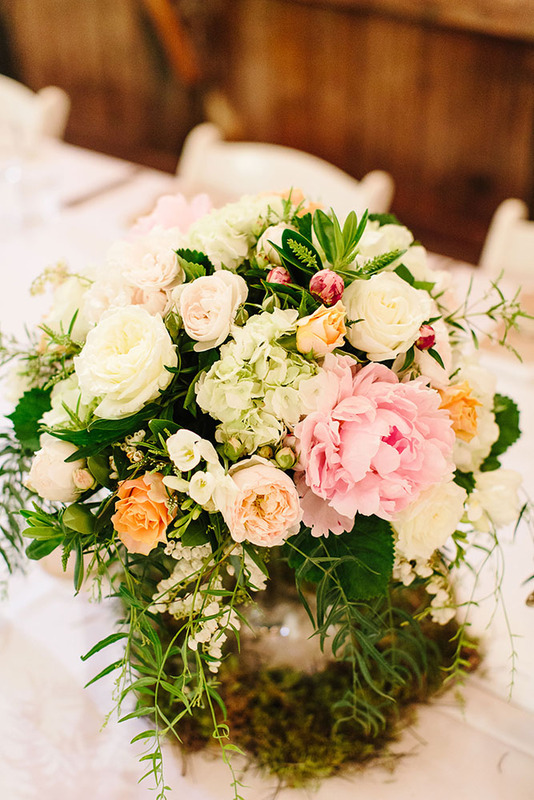 This colour was so soft that we decided to keep all the florals in the same soft palette with soft apricot tones in the David Austin roses and soft pale pink in the peonies. Amelia wanted just a little bit of texture in her bouquets and the inclusion of the David Austin rose buds and hebe foliage achieved this. Paolo wore a classic buttonhole of ivory rose framed with andromeda and green foliage. Being magnetic buttonholes they were really easy for the boys to attach to their suits. CLASSIC Amy Lu rose buttonhole finished with white satin ribbon. Image by Nicole Cordeiro Photography. Amelia’s ceremony and reception spaces were taken to the next level with styling, signage and prop hire by The Style Store. 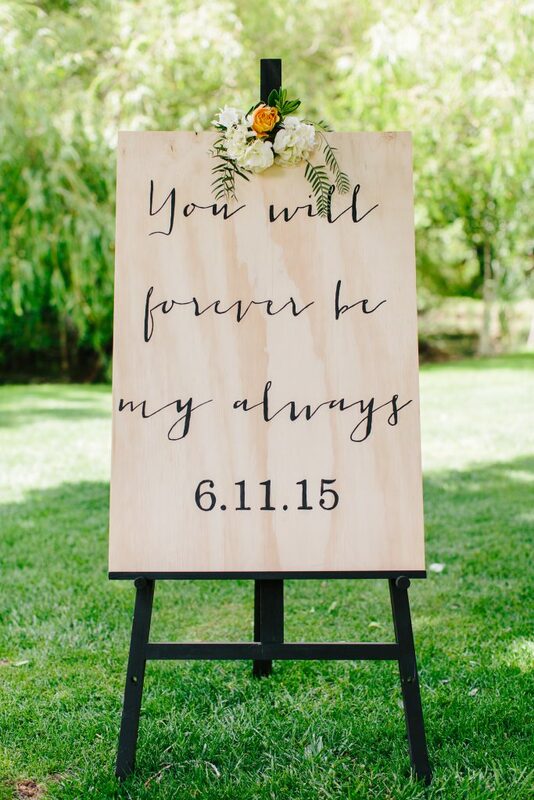 I just adore this gorgeous timber printed personalised sign. Decorated simply with matching flowers to the bridal party, but a little more relaxed for the garden setting. 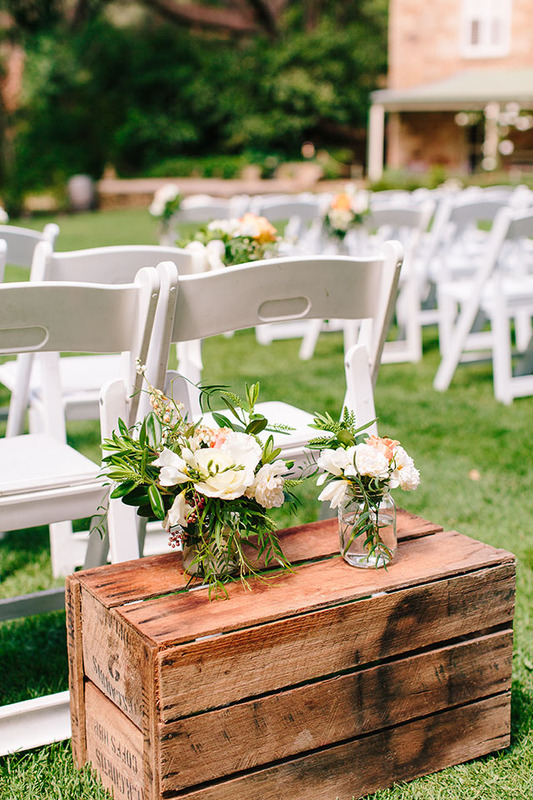 Jars of seasonal garden blooms in whites and apricots lined the aisle as they were tied to the chairs. These were later moved into the reception space to be enjoyed by guests. Jam Jars of seasonal flowers for example, roses, carnations, freesia, hebe and pepper berry. Image by Nicole Cordeiro Photography. 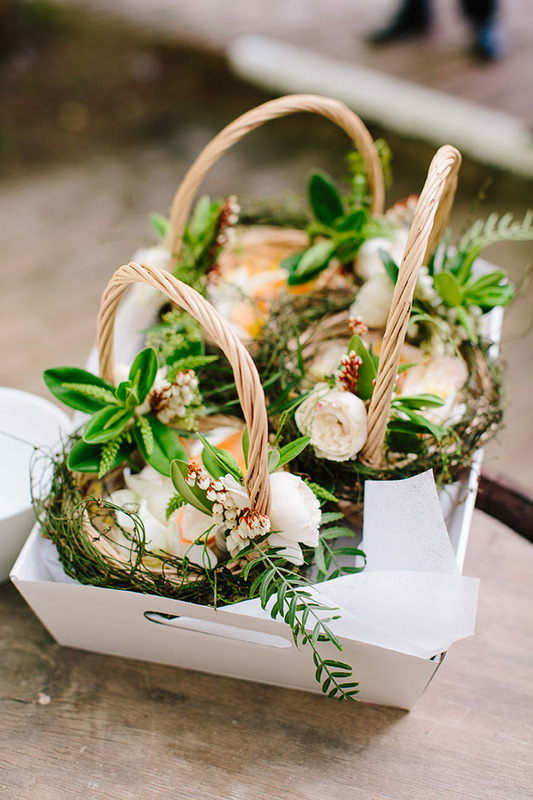 The flower girls, Amelia’s nieces, carried cute little matching rustic baskets of fresh rose petals. By adding the embellishments of andromeda, foliage and just a few blooms of roses these tied into the bridal style beautifully. Flower Girl Petal Baskets filled with fresh rose petals and embellished with roses, andromeda, dodder vine and foliage. Image by Nicole Cordeiro Photography. 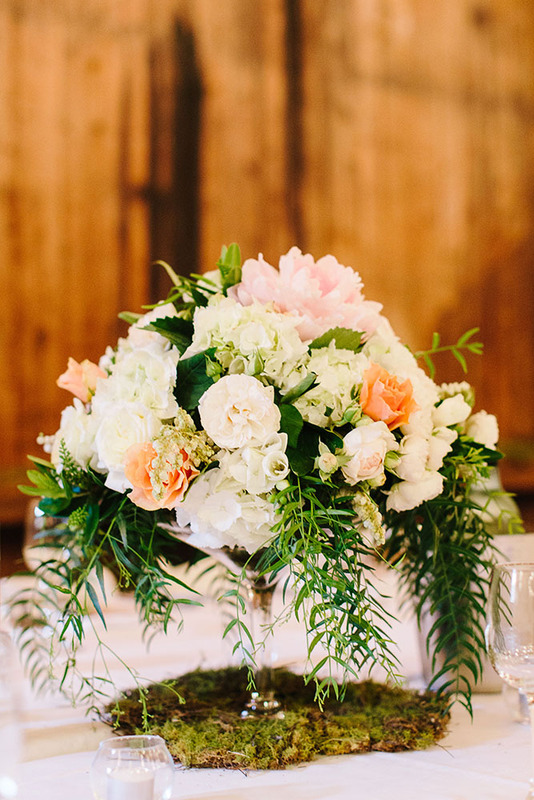 At the reception we created gorgeous garden style arrangements for the guests table centerpieces. These had a little more colour than the bridal party flowers, I always recommend to add colour into a large reception space as it helps the flowers to stand out. GARDEN Low Glass Arrangement consisting of peonies, hydrangea, roses, freesias, andromeda, hebe and pepper berry. Image by Nicole Cordeiro Photography. The glass vessels, sourced by the bride added an elegant touch. While moss at the foot of the vases added more texture and interest to the floral arrangements. 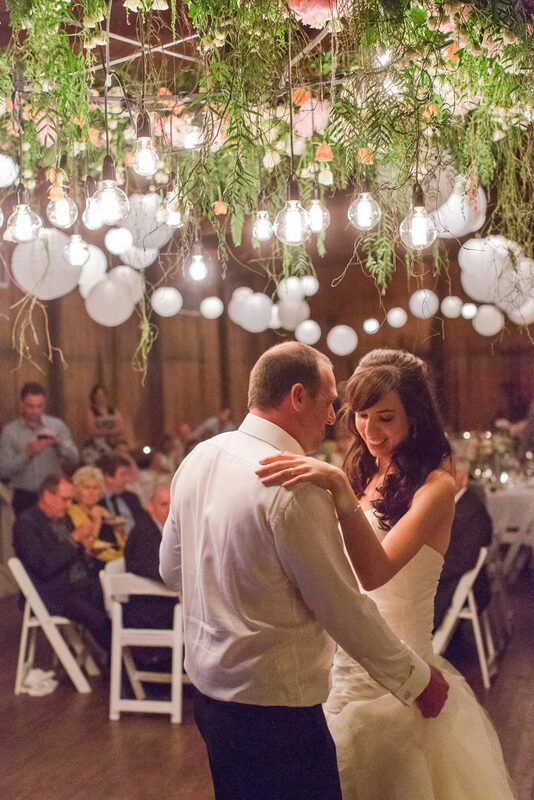 The stand out feature in the reception space was the huge hanging floral halo suspended over the dance floor. The halo and lighting were supplied and installed by the great team Venue Productions. 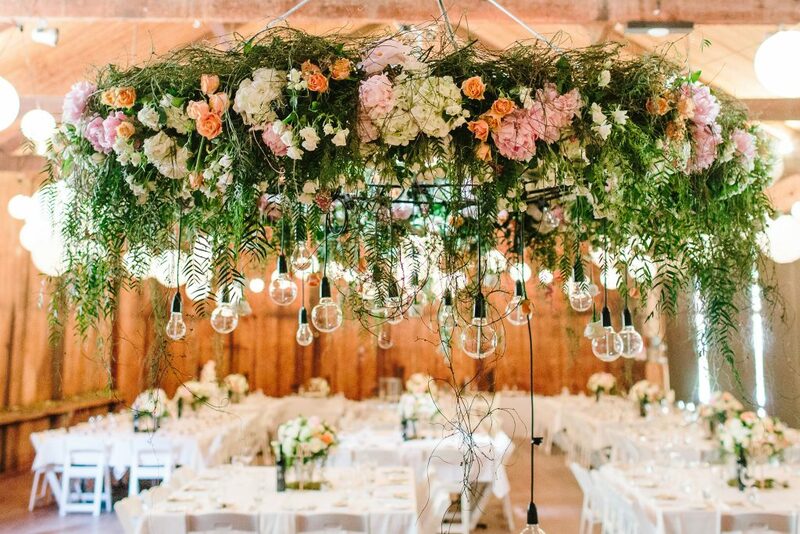 GARDEN Hanging Halo consisting of hydrangea, roses, spray roses, peonies, dodder vine, ivy berry and pepper berry. Image by Nicole Cordeiro Photography. It was an absolute please to create this floral halo with my team. You can see how it all came together in the video below.